Save big now! 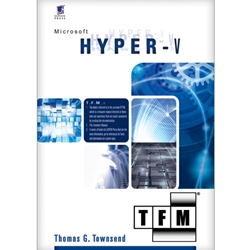 Originally priced at $59.99, get your copy of Microsoft Hyper-V or WSH and VBScript Core printed books for only $15.00 each, shipping included, while supplies last! Offer valid in the continental United States only. 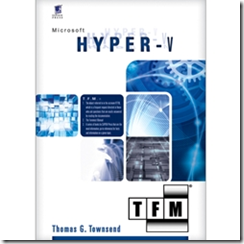 A practical guide to implementing Hyper-V in your environment. A complete reference to the VBScript and Windows Script Host language, objects, and more – for the Windows administrator! It’s the manual Microsoft should have written! 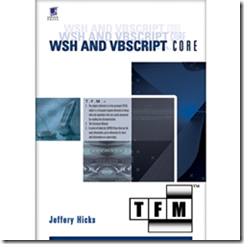 Far more than a mere syntax reference, WSH and VBScript Core: TFM provides you with detailed administrative script examples for each function, statement, keyword, object, property, method and more than a Windows administrator would use. If a function can be used in three different ways, you’ll find three different complete examples – no guessing about what the docs mean, and no hunting around on the Web trying to find the exact example that you need. You’ll never again have to wander through examples meant for Web developers or other types of development, because this book was written entirely and specifically for Windows administrators! WSH and VBScript Core is the last VBScript and Windows Script Host reference you’ll need, because it’s accurate, complete, and designed specifically for Windows administrative scripting! Please proceed to https://store.sapien.com/c-23-specials.aspx to make your purchase. Don’t let this great deal pass you by! ALL SALES FINAL.